Istanbul is the most important and well known city in Turkey, and it’s juxtaposed in the Eurasian region. It has a diverse and varied history to it, and as such in Istanbul you can find architectural and cultural remnants of the several dynasties and civilizations that have come and gone. This makes Istanbul a riveting city for those who are culturally or historically inclined. For example, if you go over to the Sultanahmet district, you’ll find the site which used to host chariot races in the age of the Roman Empire. 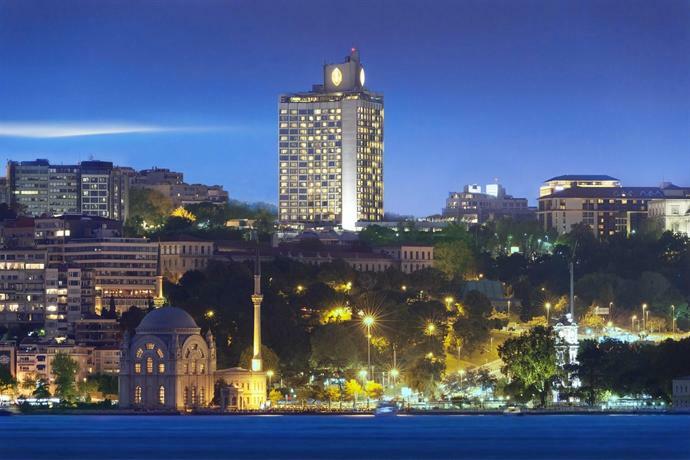 This is a list of the overall best hotels in Istanbul that you might be interested in staying at. This is hands down the best hotel in all of Istanbul for a variety of reasons. Locationally, it couldn’t be placed any better. It’s really close to the Dolmabahçe Palace, which, for all the history buffs out there, was home to the last of the Ottoman empire. The hotel is close enough to the life of the city that you can simply walk over to the palace, or alternatively, you can also explore other important attractions such as the Naval Museum, the Painting Museum, or the beautiful sloping Yildiz Park. If you’re in the vicinity, it’s high recommended that you take a while to sit at the pavilions and enjoy the scenery. The transportation in the area is a bit scarce, however you can take a bus ride to Kabatas, which is the transportation center of the city. From there, you can hop into a tram and explore old city. 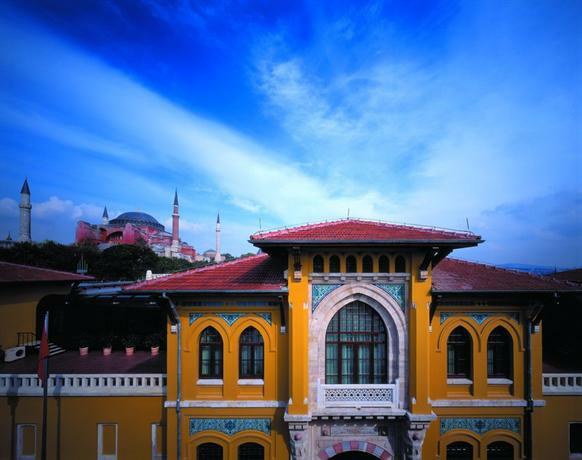 The hotel itself has been established over a structure that used to house Ottoman sultans. As such, the primary building of the hotel is called the “Palace”, and it sure earns that name. As you enter the hotel, you’ll immediately notice the beautifully designed terrace, along with the great and picturesque seating options available within close vicinity of a grand fountain. The architectural leaning is still reminiscent of the late Ottoman empire, which in turn was influenced by Rococo and Baroque designs. As such, the hotel feels decidedly ornate and ostentatious. 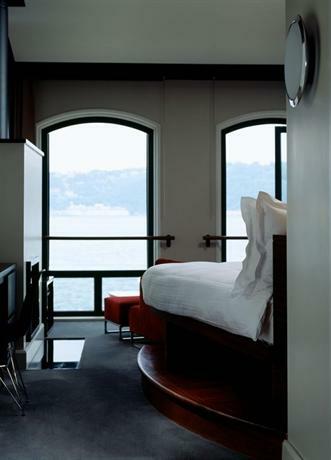 You can get Bosphorus views in one third of all the rooms in the hotel, across the three buildings, and those are the rooms you should aim for. They have a grand view, past a keyhole shaped window that stretches out from floor to ceilings. This hotel is located, as the name suggests, in Sultanahmet, and as such it would be hard to find a location grander than this. 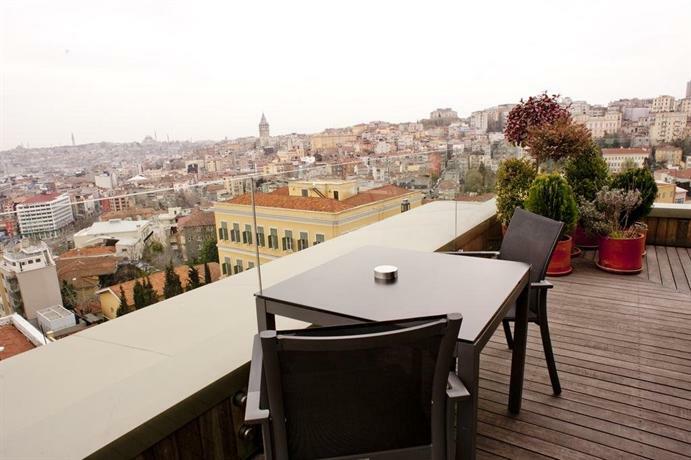 If you climb up to the rooftop terrace of this hotel you’ll be met with one of the grandest sights in all of Turkey. You can be blown away by a panoramic view of the Sea of Marmara on one side, and the stunning minarets of the Blue Mosque on the other. This hotel is also right next to the city’s most famed piece of architecture, the Hagia Sophia. The rooftop is ideally visited during the sunset. The interiors of the hotel have been designed in an elegant and ornate manner, in the traditional Ottoman style. 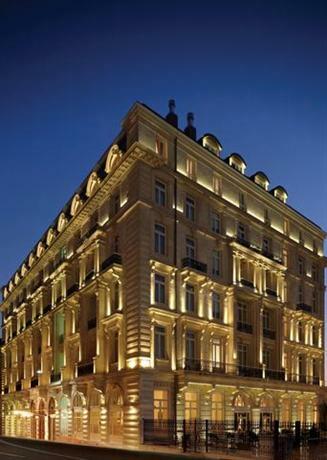 The hotel, in typical Istanbul style, is a fine example of east and west architectural fusion. Even though there’s plenty of modernist influence, the hotel mostly sticks to its roots, thus creating a hotel of magnificent palatial glory that is still not without its modern convenience. As far as the amenities are concerned, you won’t want for anything. You could go to their health club in which you can be treated to a lovely, rejuvenating Balinese massage. The hotel also grows its own treatment herbs in a garden that you can wander amidst. The rooms have been designed in a vast and spacious style, each carrying its own sense of individuality, and some of them even come with private balconies that look out at the hotel courtyard and its collection of flora and fauna. The bathrooms have been designed in gleaming marble, and they have a deep tub that you can completely immerse yourself into, along with a separate rain shower. 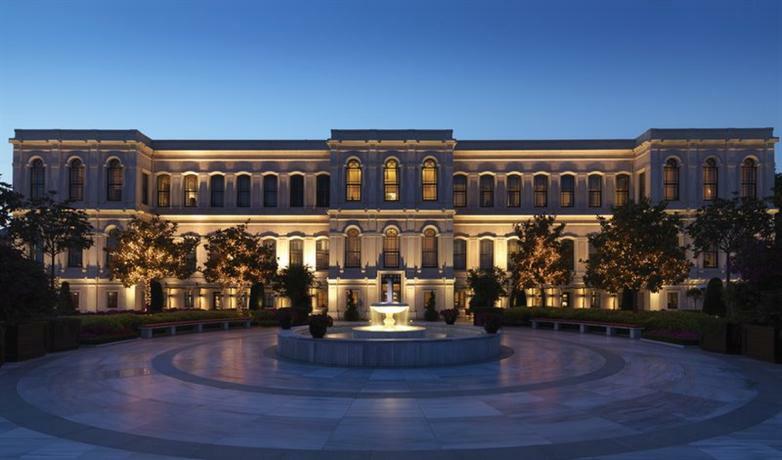 The Çiragan Palace Kempinski Istanbul is another one of the city’s best hotels boasting grand views of their most prized location, the Bosphorus. Like so many of the other grand structures of Istanbul, this hotel too shares historical acquaintance with Ottoman royalty. 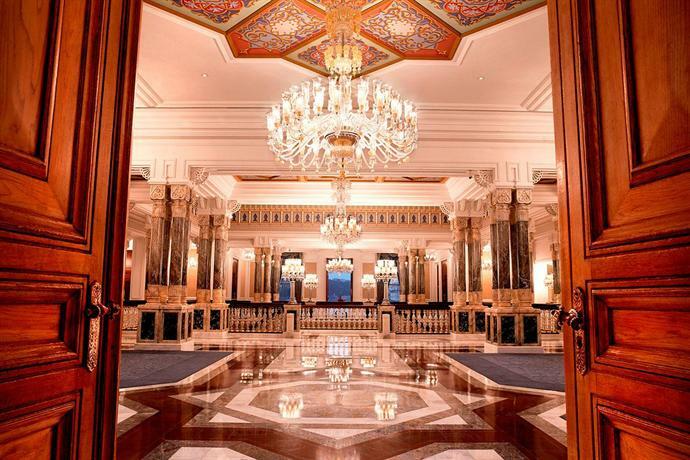 Because of its ornate architecture and prime location, it enjoys the pride of being in a collective of Leading Hotels of the World's Leaders Club. As far as location is concerned, it’s midway between the neighborhoods of Besiktas and Ortakov, and as such you’re not too far from some of the prime spots in Istanbul such as the National Palaces, the Painting Museum, and even the beautifully steep Yildiz Park. There are 313 rooms in the hotel, and they’ve all been designed in a style reminiscent of Turkish decor, with the presence of other amenities such as Smart TVs, and even private balconies. Depending on your preference, you can either get a room that looks over at the Yildiz Park, or you can get one that faces towards the sea. If you want to truly spoil yourself with luxurious offerings, you can get their Exclusive Palace Suites which comes with three spacious bedrooms and even a personal butler service. If you're traveling to Istanbul for an extended stay, this is ideal, because you also get a little kitchenette. At the end of the day, you can also get a deeply relaxing massage at their spa. Sumahan on the Water is located in Çengelköy, which happens to be a quaint village near Istanbul which used to be home to the Greeks, Jews, Armenians, and various other communities. Because of this intermixing of diverse cultures, it has become quite a hotbed of cultural assimilation and heritage. The village is now famous for their fish restaurants, and most cafes offer you a beautiful view of the Bosphorus. You can also explore their waterfront mansions, called the Yali, which are famous for their Ottoman wood-inlaid designs. The city itself can often be quite noisy and loud, and as such this is one of the retreats from that. You can very well while away your time simply observing the flight of the seagulls. This village and the hotel are quite fascinating because they’re in the crossroads between contemporary renovations, historical heritage, and beautiful waterfront vistas. One of the great things about the Sumahan is the deeply intimate quality of their service. You feel truly looked after here in a manner you won’t find in most hotels. Another great thing is that literally all the rooms in the establishment enjoy a grand view of Bosphorus, and it’s deeply lovely to see the sun dip into the ocean and color it in the evenings. 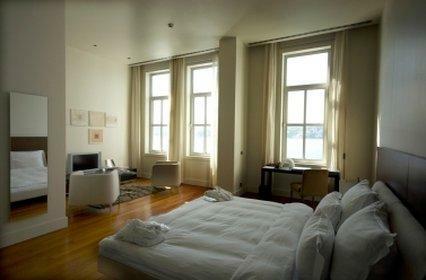 The rooms feature full length sweeping windows and as such the rooms are always bathed in natural light. The Park Hyatt Istanbul is one of the best hotels in this vast and sprawling city for a variety of reasons, one of them naturally being the location. The hotel is located just about 2 miles from Taksim Square, which means it’s within easy reach of transportation but removed from the main city enough that you can enjoy some peace and quiet. The city itself can be quite noisy and as such it’s important to find a hotel a little removed from that. In slight contrast to the Ottoman, Rococo, or Baroque architectural influences in the city, Park Hyatt Istanbul is delightfully Art Deco in a manner such that it feels almost out of place, but not quite. The furnitures around the hotel are sleek with a leather finish, and the windows are vast and sprawling, floor to ceiling, so as to offer an unhindered vision of the city dowsed in its twilight glow. The rooms are all well decked with Smart TVs, coffee makers, and all other modern amenities possible. However, perhaps the best thing about the hotel is that it features some of the grandest and biggest bathrooms amongst all the hotels in Istanbul. Hyatt seems to understand how important bathrooms are, and as such they've gone all out with it. It looks palatial all on its own, with deep and gorgeous bathtubs and rain showers. 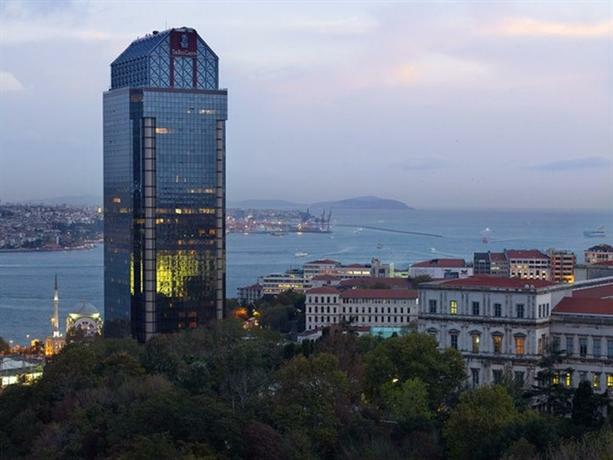 The Ritz-Carlton Istanbul also offers grand views of the Bosphorus Strait, and it’s ideal for those who love one of two things — Soccer, and Sightseeing. This hotel is extremely loyal to its Ottoman heritage, and as such it’s replete with period furniture. The bathrooms are grand with separate showers, and sizably grand soaking tubs. In addition to that, the hotel forms a little sustainable environment within itself as it comes with Turkish baths, spa, pool, and even a salon if you so wish. It’s entirely possible for you to lock yourself up in this grand palace and never leave. During the summer season, you can even access their open-air spa, which is a true treat. This hotel is famous for its amazing location. A short walk will bring you to Istiklal Caddesi, which is known for its varied and diverse forms of entertainment. The hotel itself is located in Cihangir, which has recently been gentrified, however it still bears its heritage of holding quaint barber shops on the streets, kebab counters, etc. There are 18 rooms in the hotel, which facilitates a sense of intimacy and friendliness amongst all the guests, who inevitably get acquainted over the course of their stay. The breakfast is served in the stylish and sleek lobby, which also features walls lined with book shelves. This hotel is a true Paradise for those who love history. In this hotel you’ll find original 19th century architecture being preserved in its original state, with little or no modern intervention. As such, you can slip into an Ottoman past while you’re in this hotel. They have modern amenities, however it’s used in such a manner so that they don’t call attention to themselves, thus shattering the illusion. 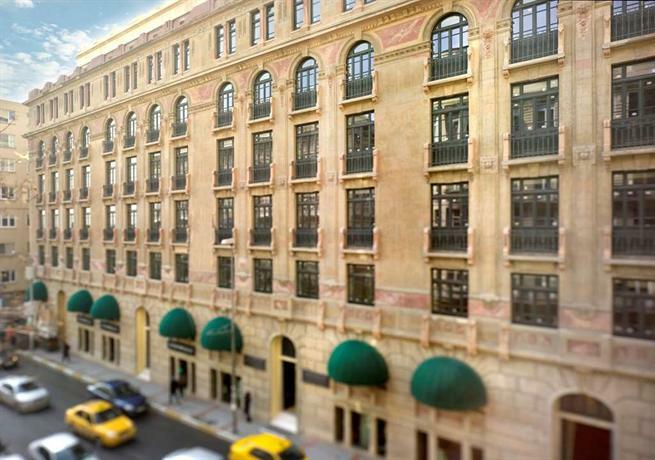 The hotel also features a museum, called Atatürk, which has been dedicated to its most distinguished guest, a leader called Mustafa Kemal Atatürk who often stayed in the hotel. The Istanbul EDITION is located in one of the most modern districts of Istanbul and is ideal for those who simply cannot be separated from the presence and aesthetics of modern conveniences. The only inconvenient thing about this hotel is that it’s a bit far from the transportation center of the hotel, and as such getting around might be a little difficult or expensive. The hotel is 15 storey tall, and has been designed in a primarily Byzantine aesthetic, complete with brass and oak furnishings and fixtures. All the rooms in the hotel are grand and sprawling, with comfortable leather couches and silk rugs on the floors. The Galata Flats are located in Serdar-i Ekrem Caddesi, one of the most fashionable streets in Istanbul, flanked by charming boutique cafes and shopping stores. This is the place you go if you want to be surrounded by lovely eateries. This is definitely more of a boutique hotel, however it’s still one of the best in the city. It’s designed in a very unobtrusive style, so much so that it doesn’t even bear a sign board advertising its name. The interiors are brick walls, wooden doors, with comfy sofas and furniture. 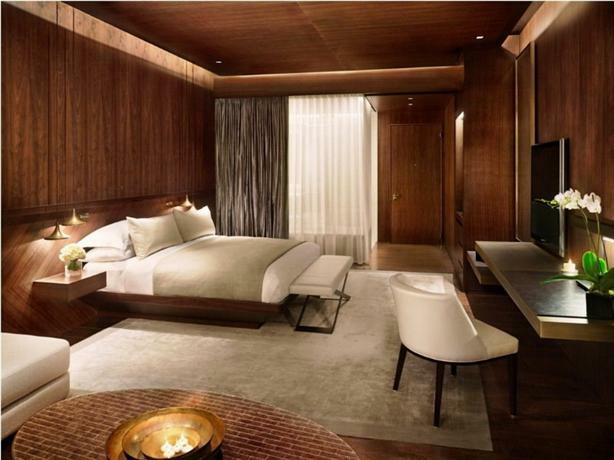 This is one of the most trendy hotels to be in if you’re in Istanbul. The thing about the InterContinental Istanbul that all guests unanimously rave about is the vast and sprawling spa with an outdoor pool. 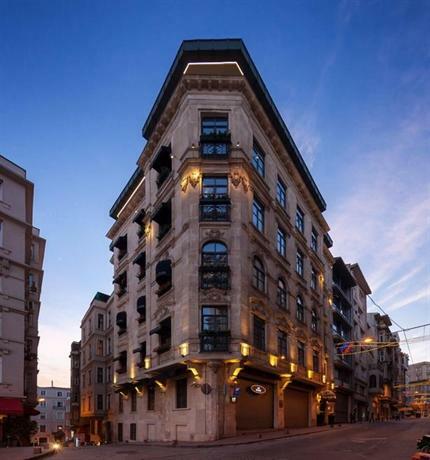 The hotel is situated close to the Taksim Square, and as such it’s also one of the most well connected hotels in Istanbul, that’s already rare enough considering most hotels in Istanbul are located in remote areas. Another great thing about this hotel is the fact that 80 percent of it enjoys a grand and sweeping view of the Bosphorus Strait. One of the quirky and interesting details that sets the House Hotel apart is the fact that it comprises rooms that offer their own complimentary cellphones. The hotel has been designed by a famous architect named Han Tümertekin, and it’s been designed in such a manner so as to preserve its historical heritage. 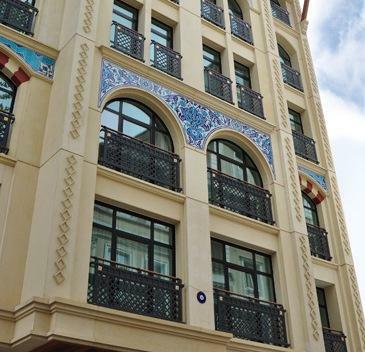 This hotel is ideal for those who want a taste of Turkish Art and Culture. As such, all the walls of the hotel are lined with local artworks and they have Turkish music playing in the background, rendering the atmosphere into one that is rather festive and celebratory. 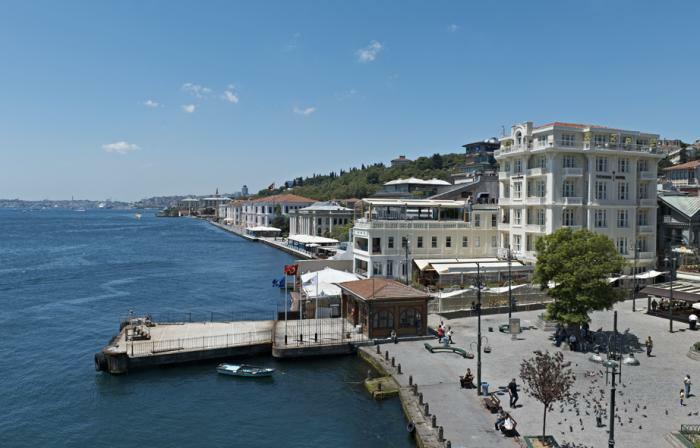 The Ajia Hotel has one major thing going for it — it’s the closest hotel to the Bosphorus Strait. As such, you have some of the best views and sceneries in the city. However, this beauty comes at a severe price. This hotel is completely isolated, and all the life of the city is eight miles away. The interiors of the hotel have been designed in a manner such that it’s minimalist and charming, mostly featuring pristine white furniture and walls. 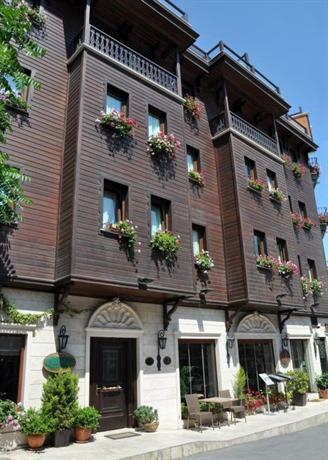 The Sirkeci Mansion is in a very strategically placed location. It’s far enough from the T1 tramline so that it’s really peaceful, however it’s close enough to Sultanahmet so that you’re connected to some of the boutique shops of the city. The hotel has been designed in a natural and breezy style with light wooden furniture and floors, along with some Turkish ornaments, rugs, and decorations. The Neorion Hotel is really well located, and if you just walk for about five minutes you can find yourself in the area full of some of the greatest sights in all of Istanbul, replete with Aya Sofya, Basilica Cistern, and all the other primary attractions. The hotel itself is snugly located in an alleyway and as such it’s charming and peaceful, at least relatively so. If you step out of the hotel there are plenty of eateries available. The hotel has a strict period aesthetic, and it’s completely marked by Ottoman, Turkish, and Oriental influences.